In a significant win for community food security advocates, Massachusetts Governor Charlie Baker yesterday signed into law a supplemental budget with funding to extend the statewide SNAP Healthy Incentives Program (HIP) through the end of the fiscal year. This decision reversed a funding-related pause in the popular incentive program for Supplemental Nutrition Assistance Program (SNAP) purchases of fruit and vegetables in local food retail outlets, including farmers' markets. The federal government's funding source, the Food Insecurity Nutrition Incentives (FINI) program, required a local match, and program uptake in Massachusetts was so enthusiastic that money ran out earlier than expected. Longer term funding remains uncertain. With funding from the supplemental budget for this fiscal year, the Massachusetts Department of Transitional Assistance (DTA) announced today that HIP will be reinstated effective tomorrow, Wed. May 23. The announcement acknowledged, "The suspension of HIP was an unpleasant reality for many.... As with news of the suspension, the Department is committed to mitigating client confusion for the reinstatement of the program." FINI and HIP build in part on the evidence base from the earlier USDA-funded Healthy Incentives Pilot in Hampden County, Massachusetts, which included a 30% incentive on targeted fruits and vegetables purchased using the SNAP Electronic Benefit Transfer (EBT) card. A series of evaluation studies was led by Abt Associates; I served as director of design and contributed research especially on the food spending outcome results. 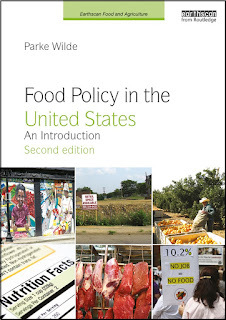 Results from the pilot are available in a 2015 final report to USDA/FNS and articles in the American Journal of Clinical Nutrition and Applied Economics Perspectives and Policy. New evaluations of the FINI programs in Massachusetts and elsewhere will be forthcoming.